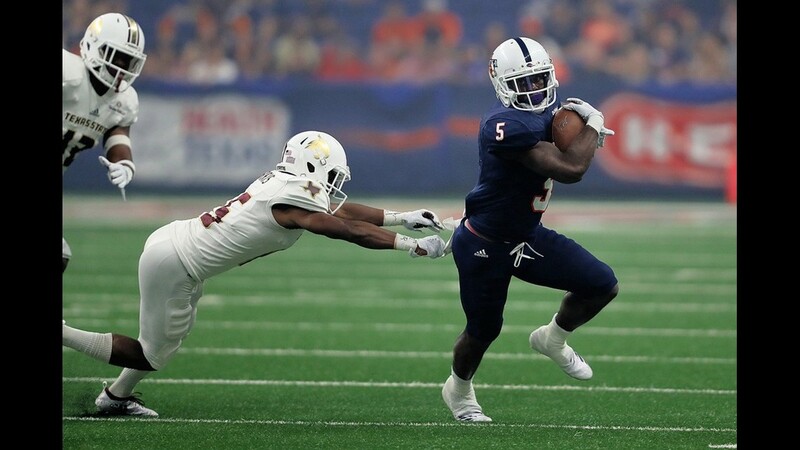 Gritty Roadrunners avoid matching worst start in program history. 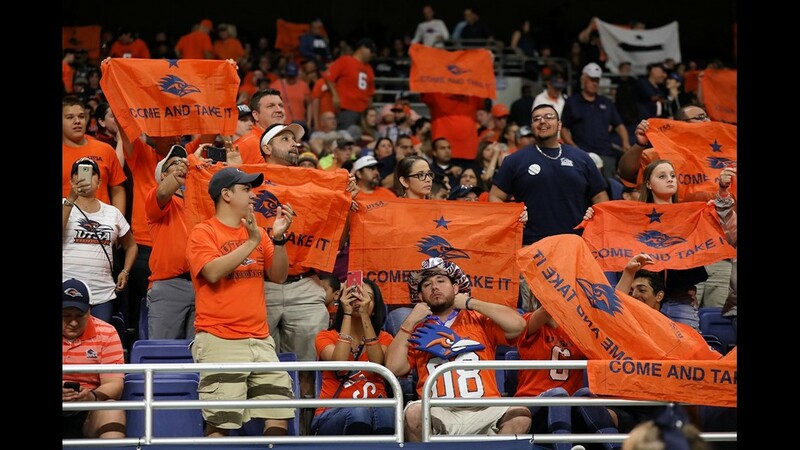 SAN ANTONIO — SAN ANTONIO – The wait is over. It wasn't a masterpiece, but a win is a win. 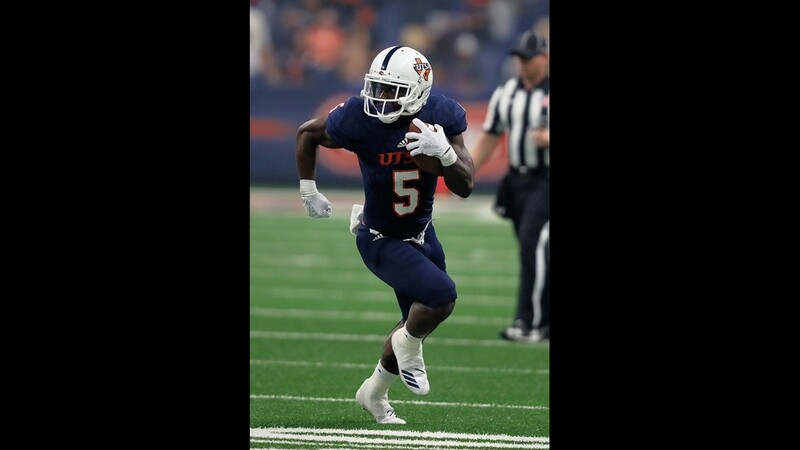 And UTSA needed one badly after starting the season 0-3 and getting outscored 127-44 by Power 5 opponents Arizona State, Baylor and Kansas State. 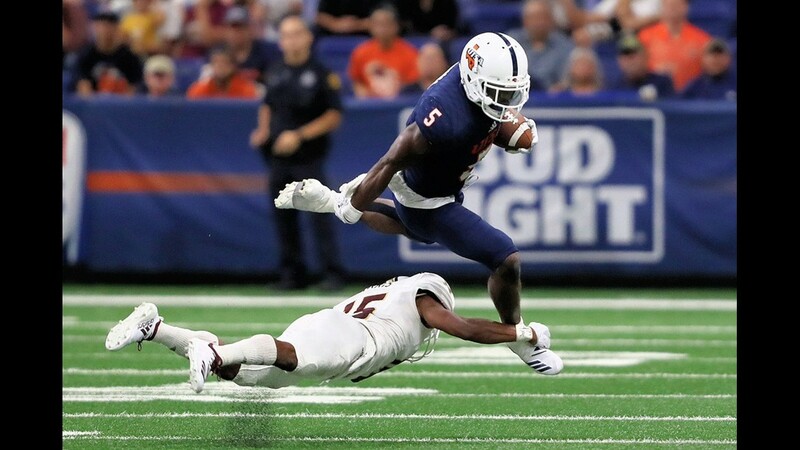 The Roadrunners simply refused to lose Saturday night, pulling out a 25-21 victory against Texas State at the Alamodome. 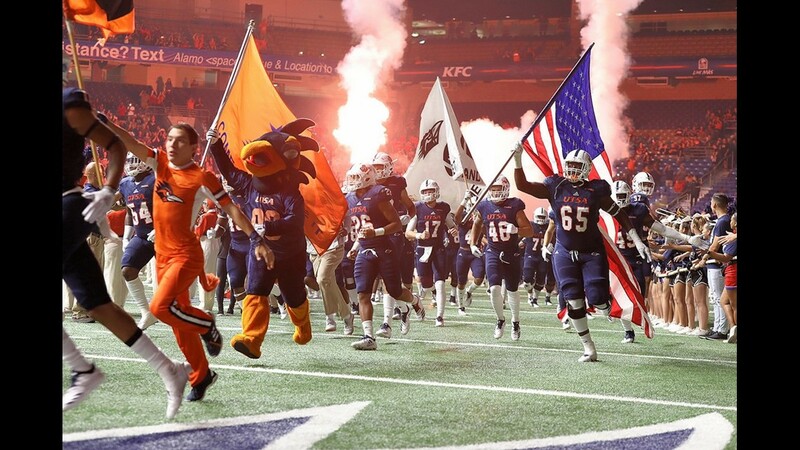 A crowd of 29,205 watched UTSA take a 3-0 lead against their Interstate 35 rival. 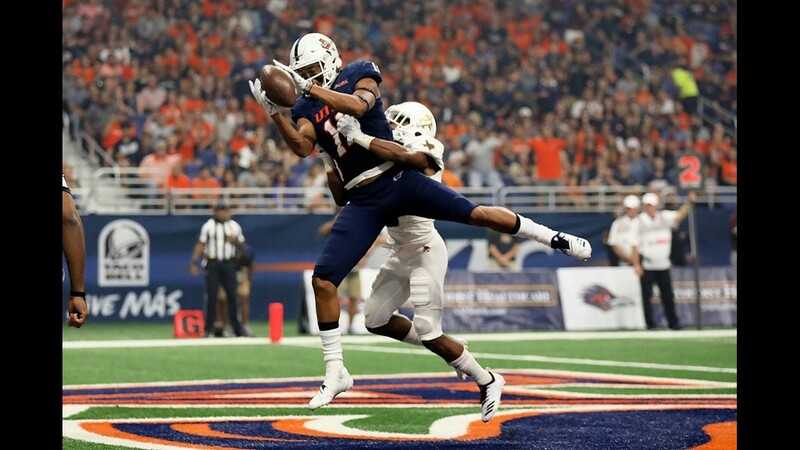 The victory came in the final tuneup before the Roadrunners host UTEP in their Conference USA opener next Saturday. 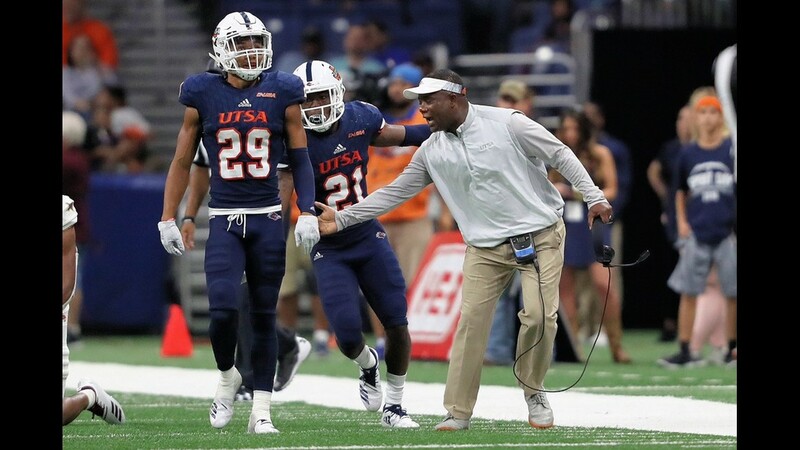 "Yeah, it's been elusive," UTSA coach Frank Wilson said, when asked about getting the first win of the season. "I mean 0-and-3. Wins are not easy. They're hard to come by, and you take them how you can get them in any form. 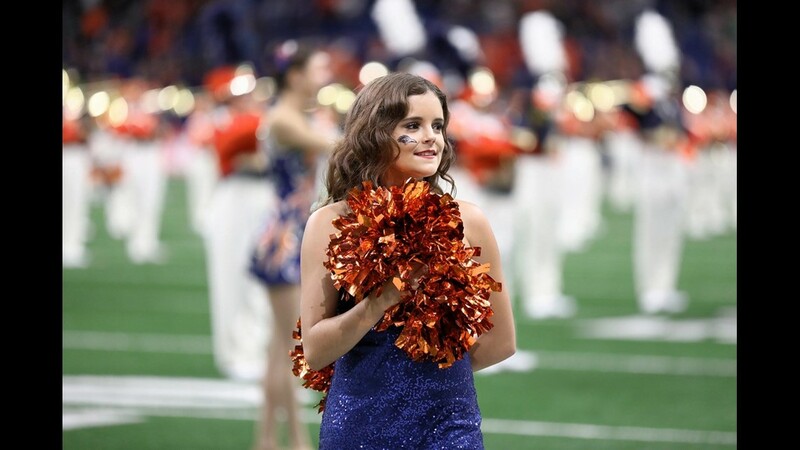 "So to get the first one of this season is big for our team, for their morale, for their esteem, for their confidence going into next week in a conference rivalry yet again against UTEP." 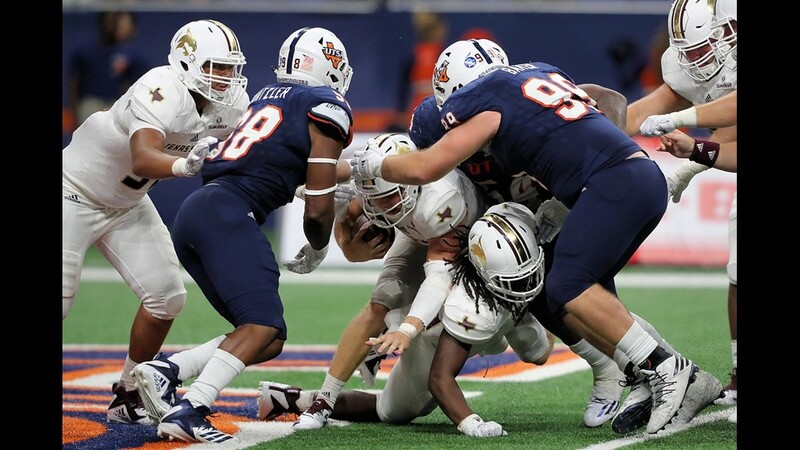 The Roadrunners lead the series against Texas State 3-0. 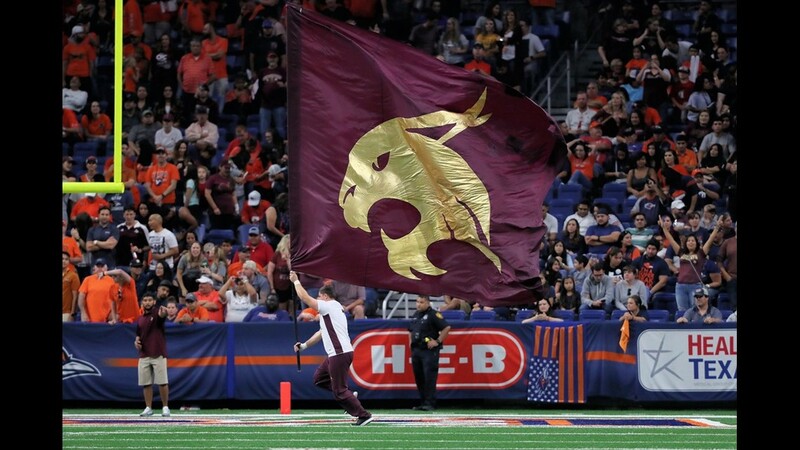 They rolled to a 44-14 victory last year in San Marcos. The Bobcats dropped to 1-3 this season. 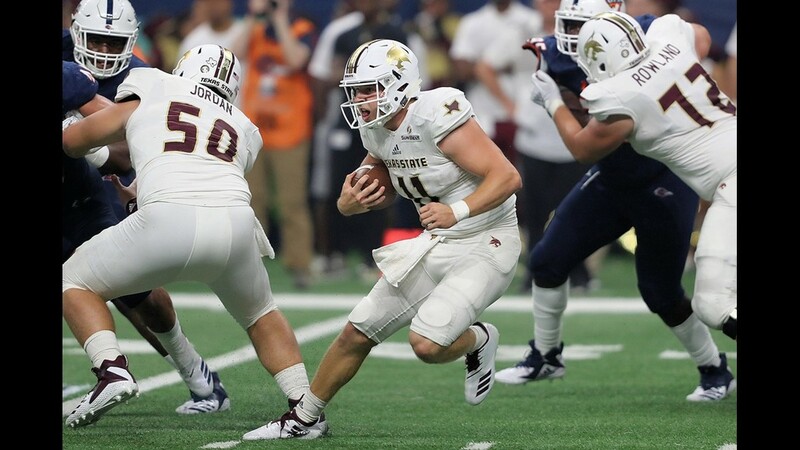 Texas State freshman quarterback Tyler Vitt, a MacArthur High School graduate, came off the bench and almost led the Bobcats to victory. 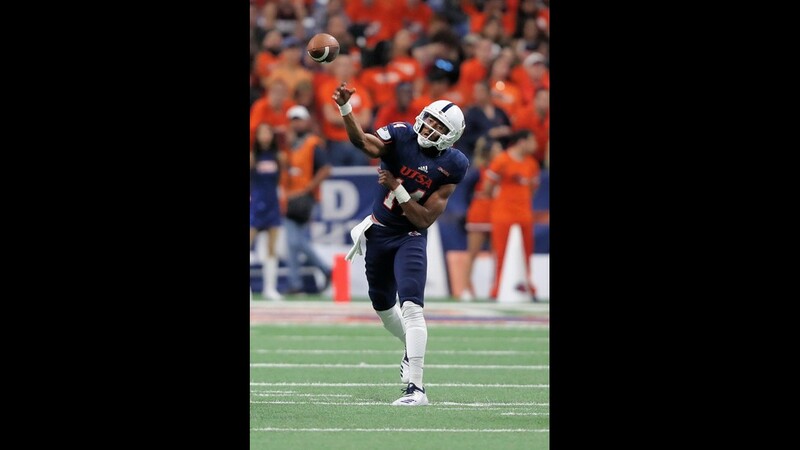 He completed 15 of 22 passes for 192 yards and two touchdowns but was intercepted twice. Vitt also ran for a 1-yard TD. 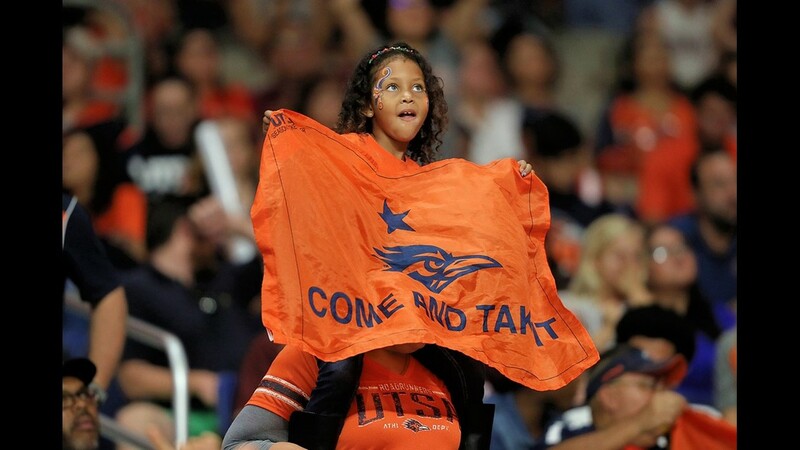 UTSA led 23-14 after Jared Sackett converted his second 40-yard field goal with 10:14 left. 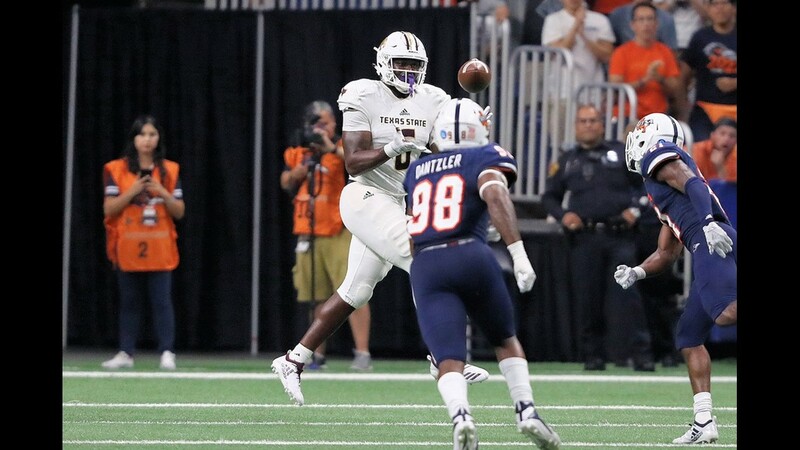 But Texas State made it a one-score game when Anthony D. Taylor blocked a punt by Yannis Routsas, setting up a short drive that ended with Vitt's 13-yard scoring strike to Hutch White with 5:08 remaining. The blocked punt was recovered by safety A.J. Krawczyk at the Roadrunners' 14. 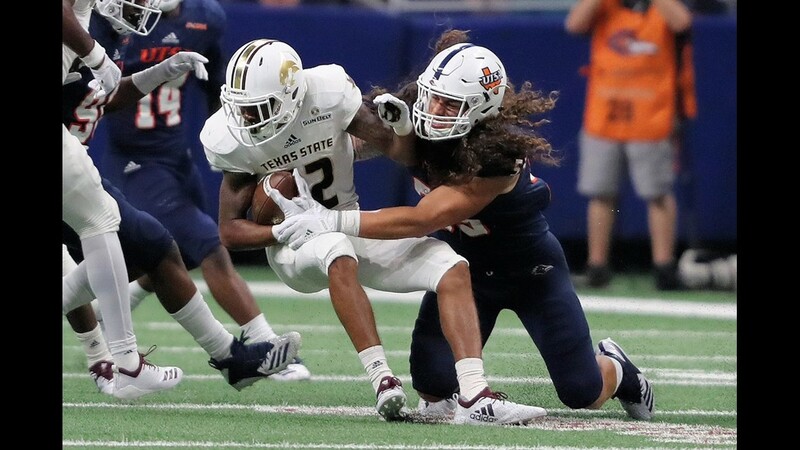 Vitt passed to White, a Kerrville Tivy graduate, for the TD five plays later. 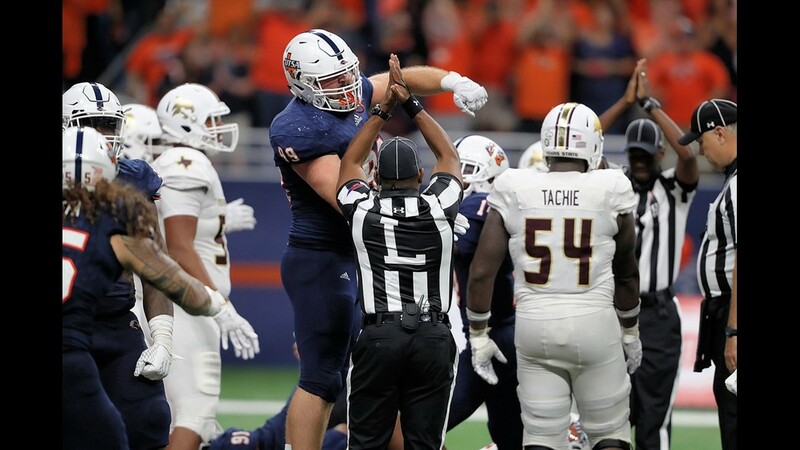 Clayton Stewart's kick cut UTSA's lead to 23-21. 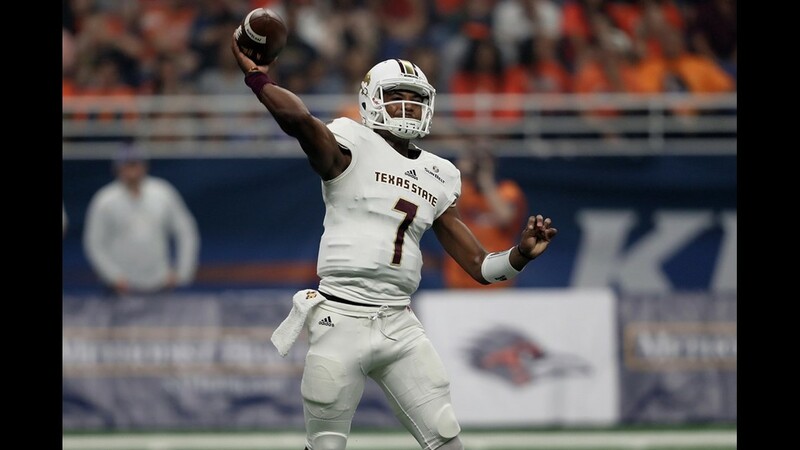 With the Bobcats backed up at their 2 after a 53-yard punt by Routsas on the Roadrunners' next possession, defensive lineman Kevin Strong Jr. tackled Vitt in the end zone for a safety on first down,. 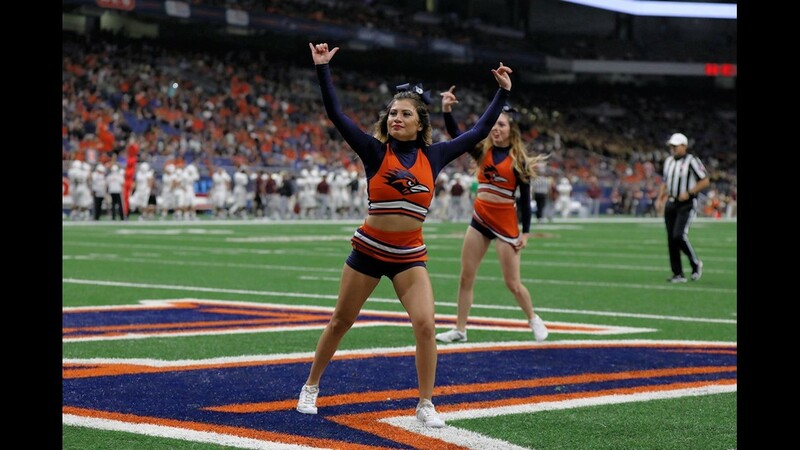 That put UTSA up 25-21 with 1:49 remaining. 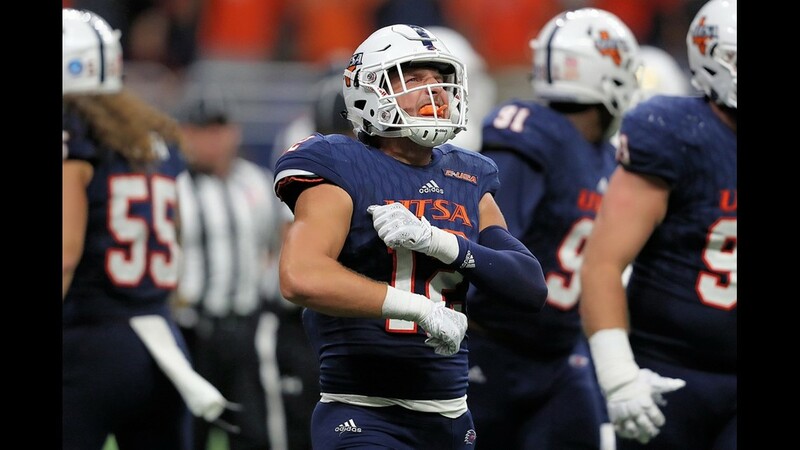 Ahead by only three points early in the fourth quarter, UTSA went up 20-14 on a 40-yard field goal by Jared Sackett. 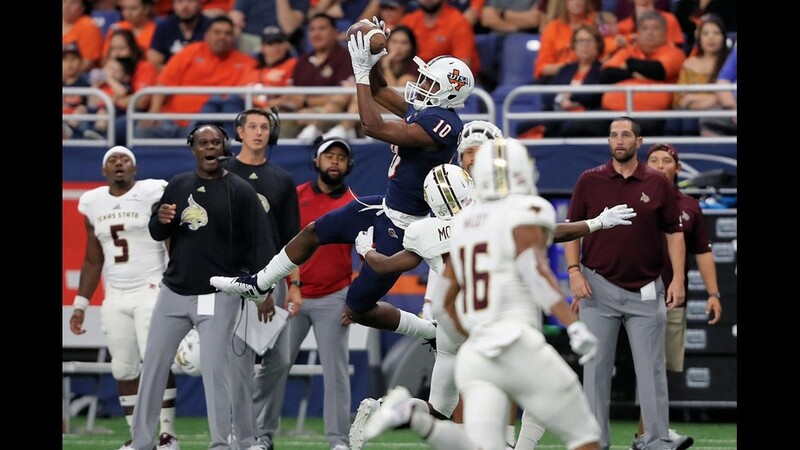 The Roadrunners went with an onside kick on the ensuing kickoff and wide receiver Greg Campbell recovered at the UTSA 46. Campbell's recovery set up another 40-yard field goal by Sackett with 10:14 left. 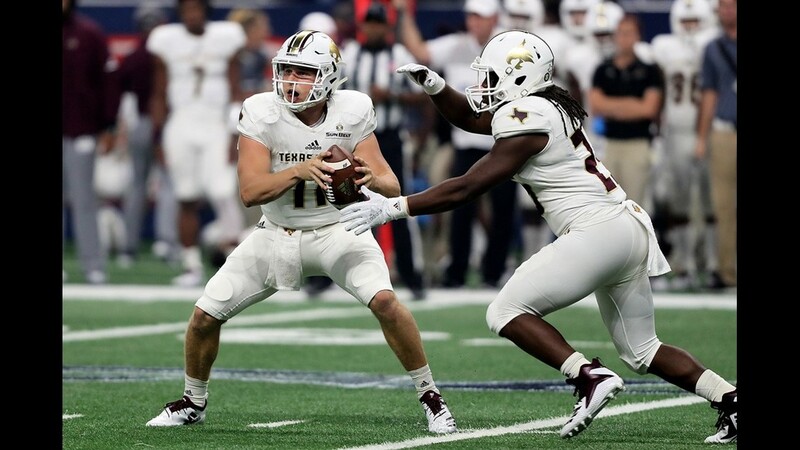 Texas State had drawn to within three points on a 21-yard pass from Vitt to Kennen Brown. 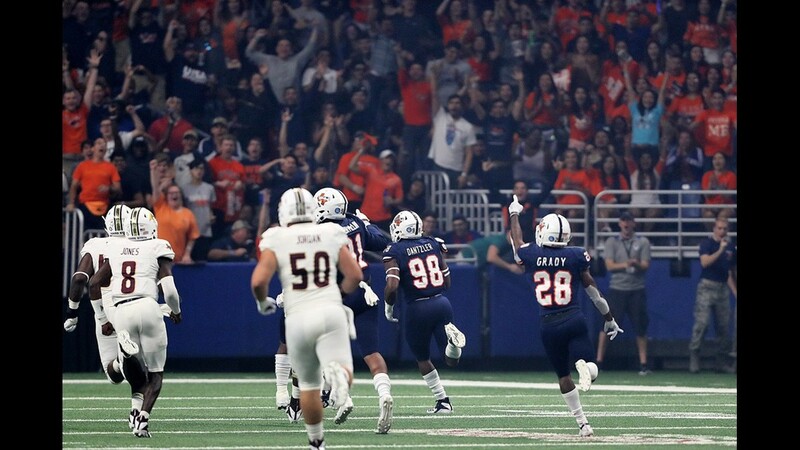 The big play in the 10-play, 82-yard drive was a 15-yard pass interference penalty against Cassius Grady, moving the Bobcats from the UTSA 30 to the 15. Vitt rolled out right and threw a strike to Brown in the right-back corner of the end zone four plays later. 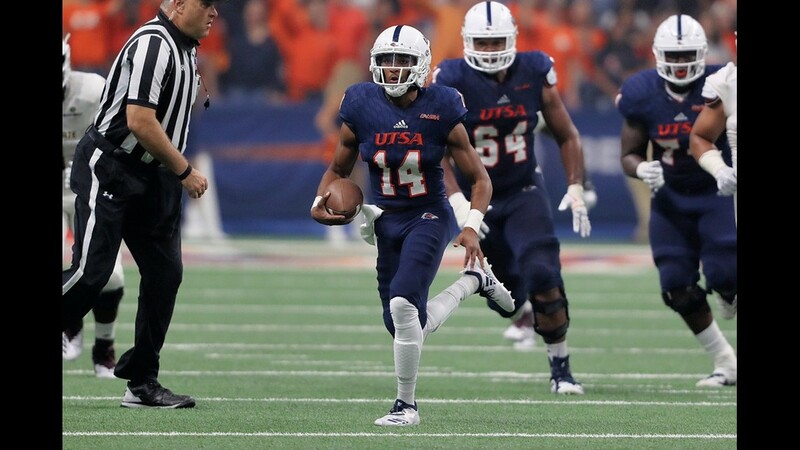 Stewart's extra-point kick cut the Roadrunners' lead to 17-14 with 2:03 remaining in the third quarter. 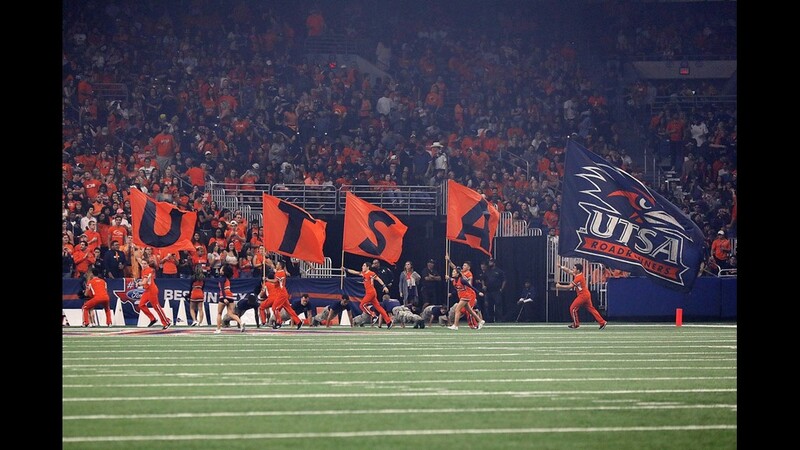 UTSA took a 17-7 halftime lead on a 40-yard field goal by Jared Sackett with 40 seconds left. 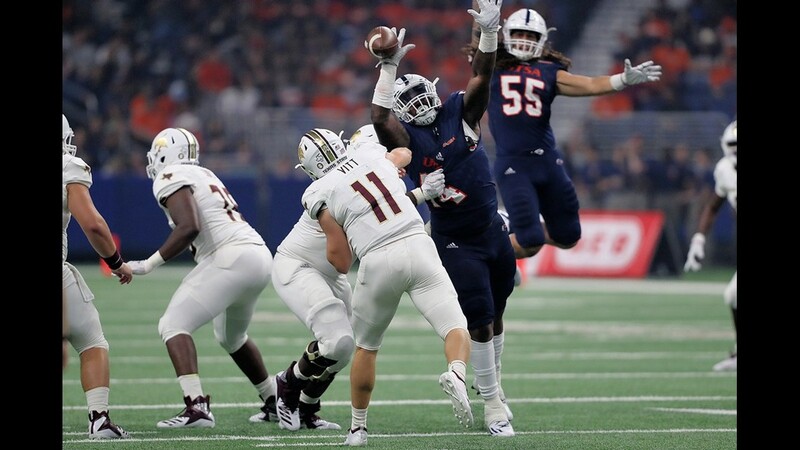 The kick ended an 11-play, 27-yard drive that started after a Texas State punt and took 3:01 off the clock. 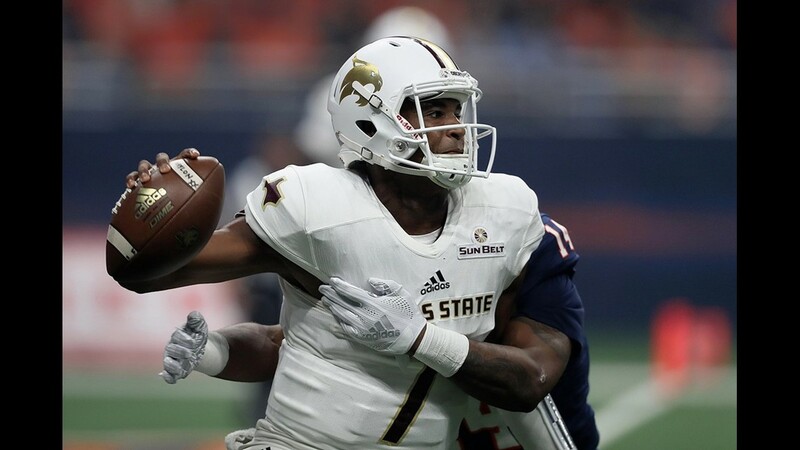 Texas State fell behind 14-0 in the first eight minutes of the game but capitalized on a turnover to make it a one-score game. 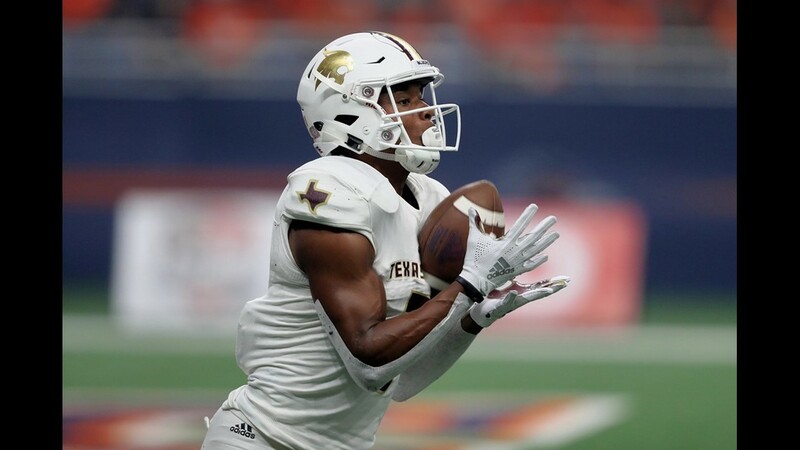 Cornerback Anthony Taylor set up the scoring drive when he recovered a fumble by wide receiver Kirk Johnson Jr. at the Bobcats' 36. 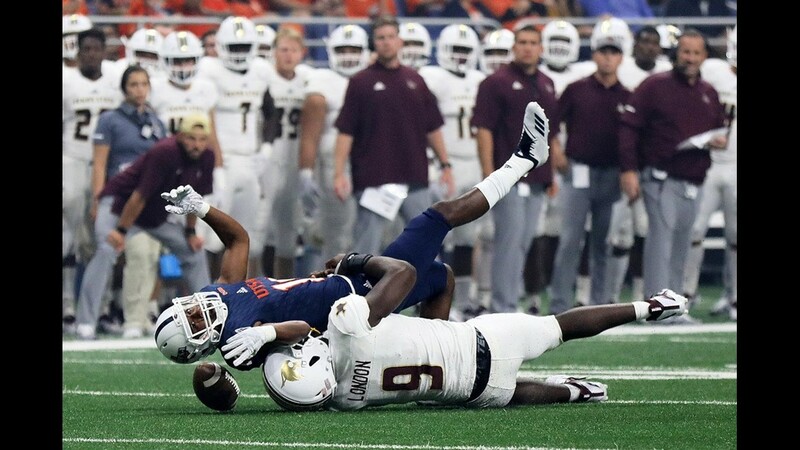 Johnson coughed up the ball when he was hit by linebacker Frankie Griffin. 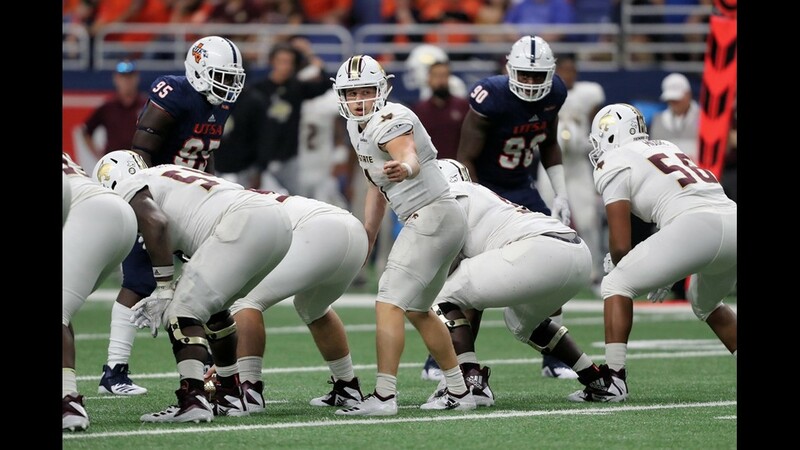 Texas State scored on Vitt's 1-yard sneak six plays later. 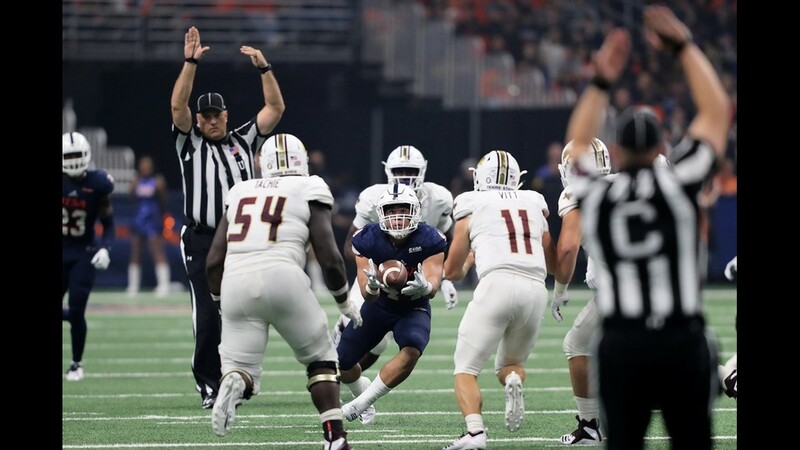 The big play in the 64-yard drive was a 26-yard completion from White to Vitt on a throwback pass that put the Bobcats at the 12. Vitt gained seven yards on a quarterback draw on first down and scored two plays later. 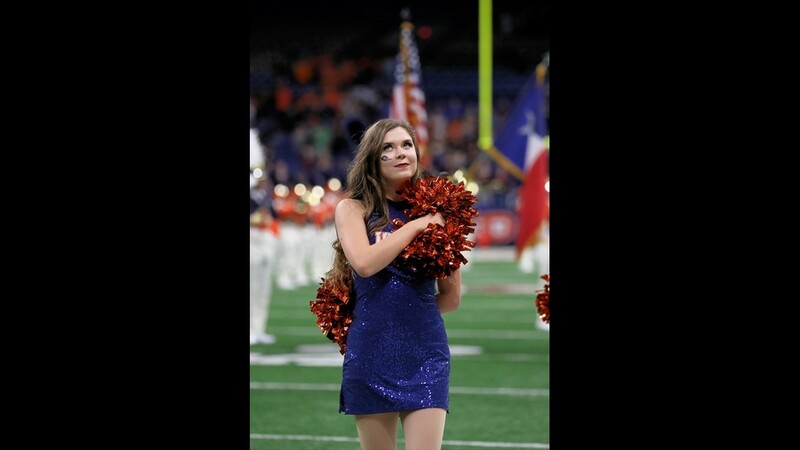 Stewart's extra-point kick cut UTSA's lead to 14-7 with 3:21 remaining in the opening quarter. 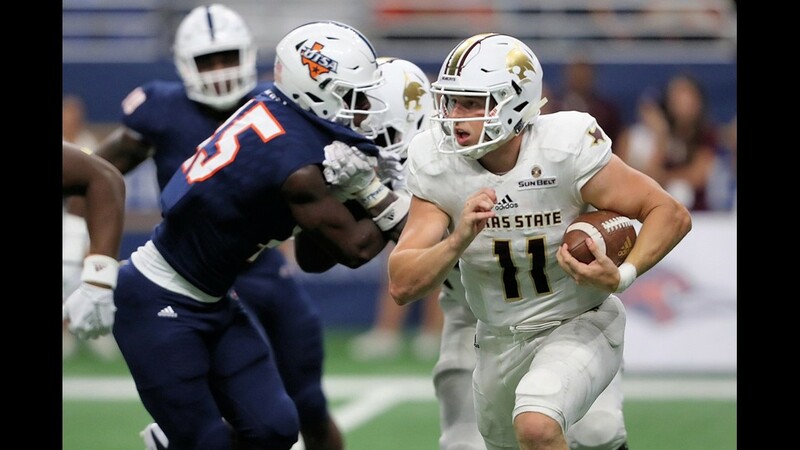 Vitt was the third quarterback Texas State played in the first period. 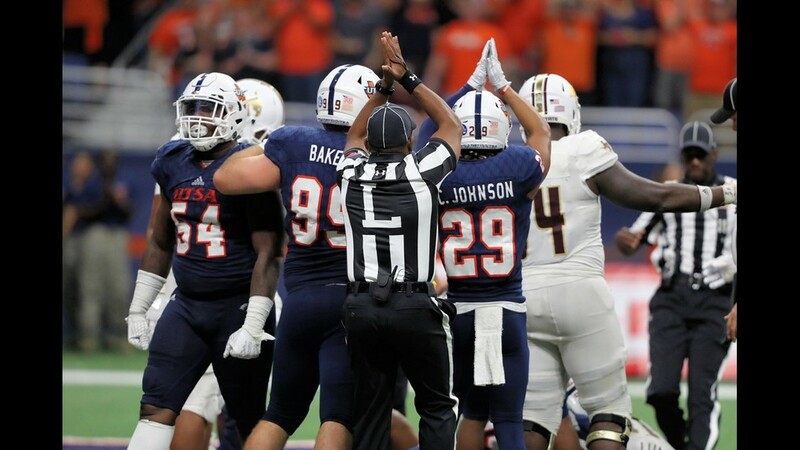 Willie Jones started the game but was replaced by Jaylen Gipson after injurying his left shoulder on the first play of the Bobcats' second possession. 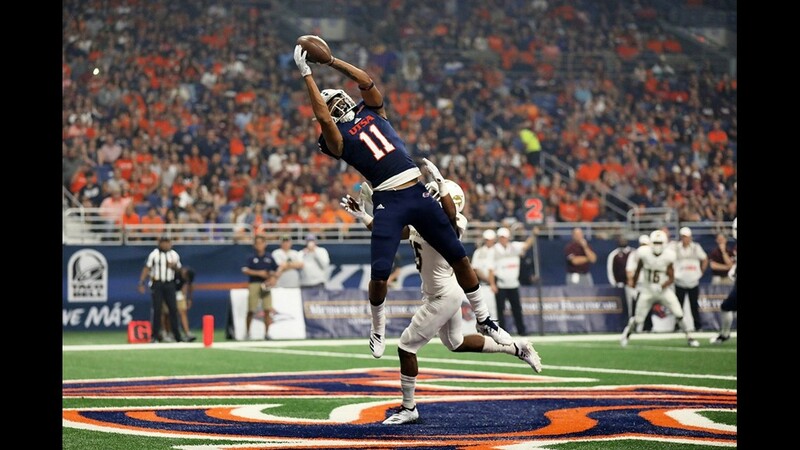 After going up 7-0 in the first minute of the game, the Roadrunners stretched their lead to 14-0 on a 7-yard pass from Cordale Grundy to freshman wide receiver Tykee Ogle-Kellogg, who scored his first career TD. Grundy's pass was a little high, but Ogle-Kellogg elevated near the back of the end zone to come up with the catch. The score capped a 10-play, 58-yard drive that consumed 4:44. 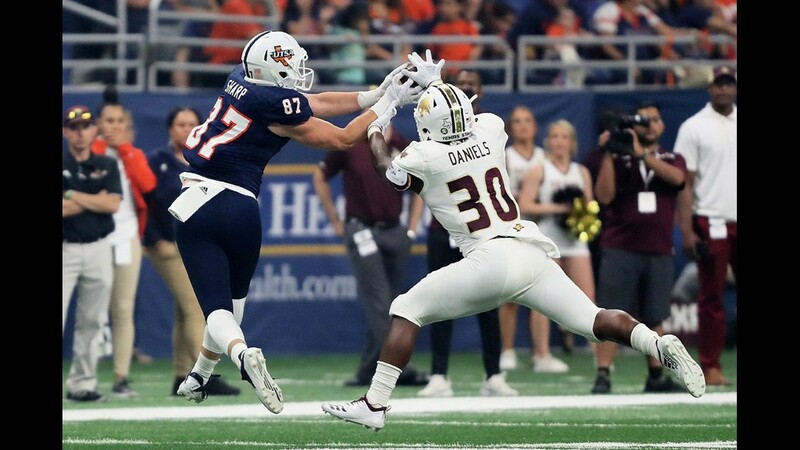 UTSA struck quickly for its first TD, scoring on a 27-yard fumble return by defensive end Lorenzo Dantzler with only 53 seconds elapsed on the game clock. Middle linebacker Josiah Tauaefa forced the turnover, stripping Jones of the ball after an 11-yard loss. Dantzler scooped up the ball and raced to the end zone untouched. 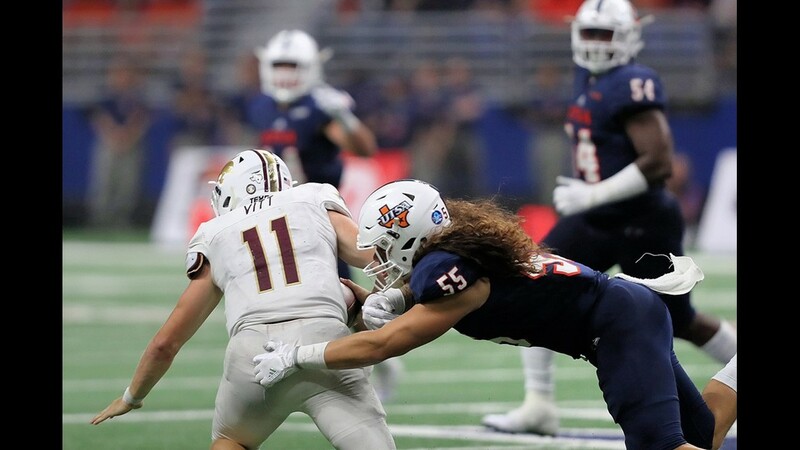 "I was in a position to get past the center and get within reach of the quarterback, and so, you know, I see the ball out and I swipe at it," Tauaefa said. "It pops out. And then immediately I turn around and I see Zo (Dantzler) scoop it up. "Immediately, your mind on the defensive side changes from getting to the ball to trying to keep people away from the ball once you have it. So everybody turns into a blocker. Zo took it the other way." Dantzler talked about the play after the game. "I knew we needed a big play on the first series," he said. "So I came around the edge and Joe (Tauaefa) got to the quarterback first. And I saw the ball and I just scooped it up and took it the other way." The game was fairly even statistically in the first half. 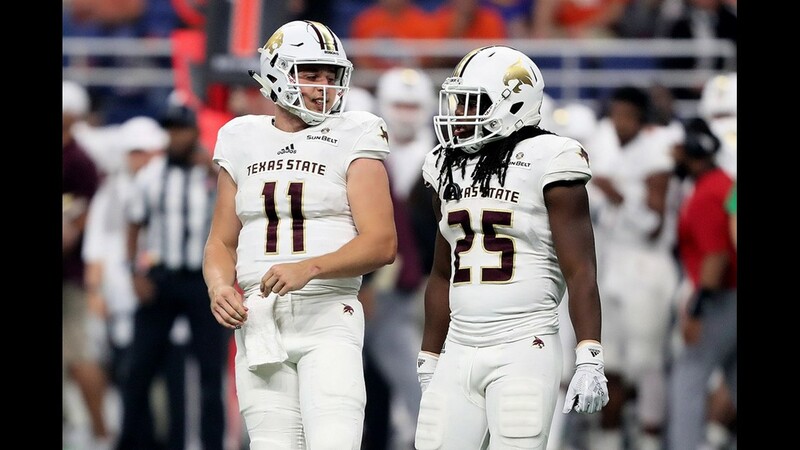 Texas State outgained UTSA 163-146 in total offense, gaining 35 yards rushing and 128 passing. 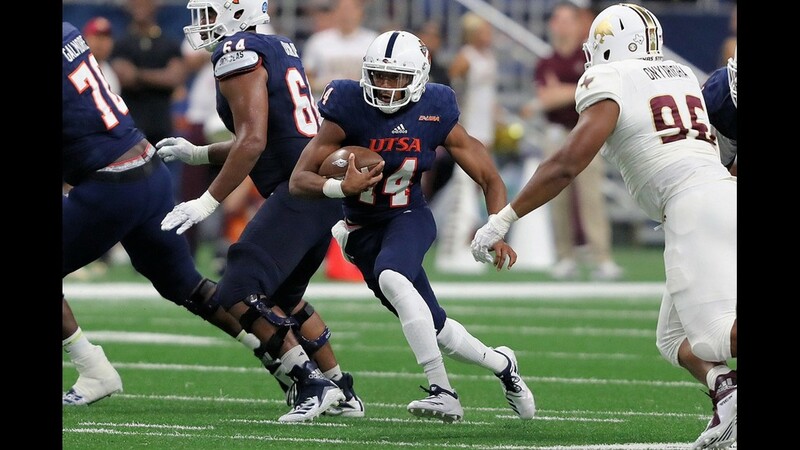 The Roadrunners had 89 yards rushing and 57 passing in the first two quarters. Vitt completed 6 of 11 passes for 98 yards, but was intercepted twice in the first half.